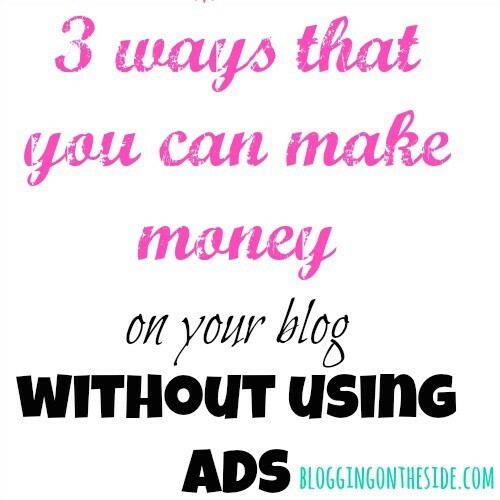 I wanted to share how to make money on a blog without ads. (I should say not including the ads because ads are certainly a great way to increase your earnings…) I know a lot of people don’t like to use ads on their pages, so I hope that these few ways can give you some other options. 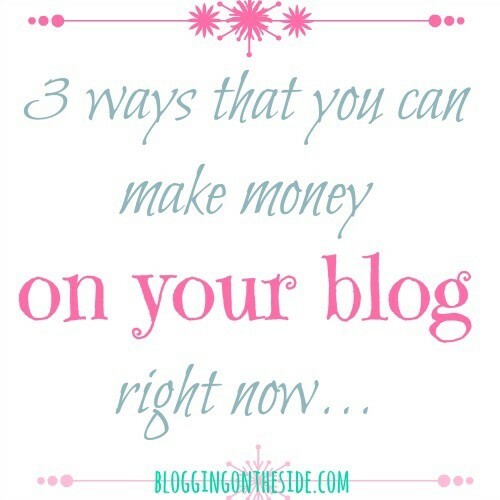 I am including affiliate links in this post, so I hope that the companies that I am sharing with you will help you to grow your income through your blog, as they have done for ours (the BOTS girls)! It all started with my simple blog series about organizing (this series, 40 days to an Organized Home is what started it all for me…) that I was doing during lent and before I knew it, I was getting over 155,000 page views every month! I was astonished and excited. I was also blessed to watch our income grow because of my blog. Today, I want you to be able to do the same! 1). SocialSpark – If you aren’t sure how social spark works, see my older post on BOTS called How to Use SocialSpark. It is really a great company- I can’t say enough about them! They assign you a topic & you write a post for them. Here is an article on How to write a sponsored post. You can sign up for SocialSpark here. 2). Sverve – this is one of the quickest, easiest ways to make money. $40 here, $70 there… the same prices are given to everyone (not based on your numbers). Danielle knows a lot about Sverve, if you ever need any advice! See more about Sverve or sign up to make money using Sverve here. Lets take you, for example. If YOU were to sell one of my e-books, you would make money on it. Lets use my Potty Train in a Weekend ebook as the example, because I know the price & affiliate fees. So, first you would go HERE and sign up. Next, you would write a post & add my book to it. Now with each sale from your page (or your link on pinterest, Facebook, etc…) you make $5. If you sell 5 books, you just made $25. 10 books… $50. See how that works? I will do a post dedicated to that topic. So- if it is my Potty Train in a Weekend ebook, I would write a potty training post & talk about the book, using my affiliate link. Another friend of mine, Kristi at Klover House, puts my ebook in her sidebar and she is my biggest seller every month. The ebook link in her sidebar leads you to her potty training post & then the book links & picutres in her post leads to her affiliate link for the book. If they buy it that day or if they come back to that page any other day in the future, she gets 50% of that sale. Does that make sense? So if I ever talk about 3 day potty training, I will include a link to my book. If I can sell someone else’s book this way, I will. They are making money and so am I.
I know it is confusing at first, but I sell a LOT of other people’s e-books on my site. (So if you write about money-saving ideas, and you link to my You can be a stay at home mom on one income book and your reader buys it, you just made $1.50.) If I am talking about a recipe, I will link to another bloggers recipe e-book, using my affiliate link. THIS IS AN EASY WAY TO MAKE AN EXTRA HUNDRED (OR MORE) A MONTH. Oh- One more VERY easy way to earn a few bucks~ SPONSORED TWEETS – they pay you per tweet. Paula introduced me to this one & I love it. It is just so simple! If you want to throw a few ads right into a post, you can use google adsense or even ones like Linqia where they will offer you a campaign & you can decide if you want to use it or not. This is super helpful information. Thank you! Great ideas. I never thought of referring ebooks. Totally checking that out! For another idea, we have a very generous affiliate blogger program for our all-natural, medically guided weight loss program and are always looking for more bloggers to help share our message. Here is a link to a video of me explaining it: http://www.youtube.com/watch?v=v1ZJZcyF3wk. Please check us out! Thanks. Thanks so much for these tips. I will have to look into them and see which one works best for me, if not all. Thanks for the tips! One of my New Year’s Resolutions is to build my blog this year! 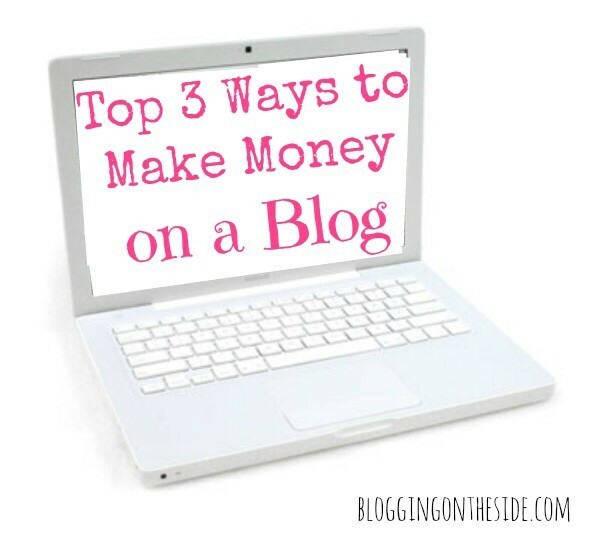 Great ideas for people wanting to grow their blogs! Since you mentioned becoming an affiliate, if anyone is looking for an affiliate program — try Smart Kids 101. Amazing topics like training great babysitters, teaching manners/etiquette and helping kids stay healthy and safe. This was all wonderful information. Thank you so much for all your tips. Its really helpful and just what I’m looking for without the extra confusion! Thanks! Becky/Paula… you two are my new BFs! You are soooo knowledgeable! Wish I had seen your blogs sooner! Live & Learn. I wanna try all of these… but, I’m not sure how to go about it ~ I continue to read your advice, then follow your instructions and see what happens next… I may have questions down the road though! =0) THANK YOU so much for your efforts ~ I would love to promote your ebooks and get paid; since I’ve already been doing so since I came across you! You do a wonderful job of not just exposing these opportunities, but giving me hope that I’m not “beating a dead horse” here! Hi becky, I love your posts here, so helpful… I’m going to try adding your books. Thanks for sharing your income – brave – it’s inspiring to see where you are at in two years! Thanks so much for sharing your income breakdown – inspiring and helpful. Love the posts – I’ve learnt heaps here!